A US-based colleague of detained Chinese activist, Guo Yushan, reflects on Guo’s formal arrest earlier this month. Those who love liberty and free expression must speak out against those who want to silence dissent. Last week, the massacre of the staff at Charlie Hebdo revealed the totalitarian mindset of Islamofascist fanatics. On Monday, Hong Kong’s self-made media tycoon and democracy advocate Jimmy Lai saw his home and business firebombed — another “message delivered” by illiberal reactionaries. Today, though, my thoughts are with Guo Yushan and He Zhengjun. They are Chinese patriots, provided you define the term as one who loves his country, but not necessarily that country’s government or its ruling party (in this case, the Chinese Communist Party). In 2012, Guo was instrumental in the escape of blind legal activist Chen Guangcheng from illegal detention in his home in Dongshigu village. For more than a decade before this, Guo was a consistent voice on behalf of pluralism, democracy, and the rule of law. He was an early and committed proponent of the New Citizens Movement, which sought to expand the rights and freedoms of all of China’s 1.4 billion citizens. The CCP viewed this as a threat to its power. My organization, Atlas Network, has been a proud partner and collaborator with Guo’s Transition Institute for several years. What impresses me most about Guo — and what makes his treatment by the CCP so horrifying — is that he is above all a patriot, whose every action has been devoted to creating a brighter future for China. An example: In 2008, Chinese authorities busily blamed one another over a scandal involving tainted milk powder, but they could not be bothered to compensate or give follow-up medical treatment to 300,000 affected babies, who were suffering with kidney stones. Guo stepped up to take pragmatic action, becoming a coordinator for several victims’ assistance groups, visiting with a relief team to verify claims of affliction, and raising hundreds of thousands of renminbi to benefit the victims. Guo possesses unbounded love of, and faith in, his fellow countrymen. The Chinese experience since the death of Mao Zedong in 1976 shows that miraculous advances can occur when people are allowed to pursue their own dreams. As China’s poor began to enjoy economic liberty, they lifted themselves out of poverty on a scale that is unprecedented in human history. There is a kind of diabolical genius at work in the Chinese government’s use of its arbitrary political power: It is simply impossible to be certain whether a given action is legal. No one in China can say for sure at what point voicing one’s opinion will mean running afoul of the CCP. 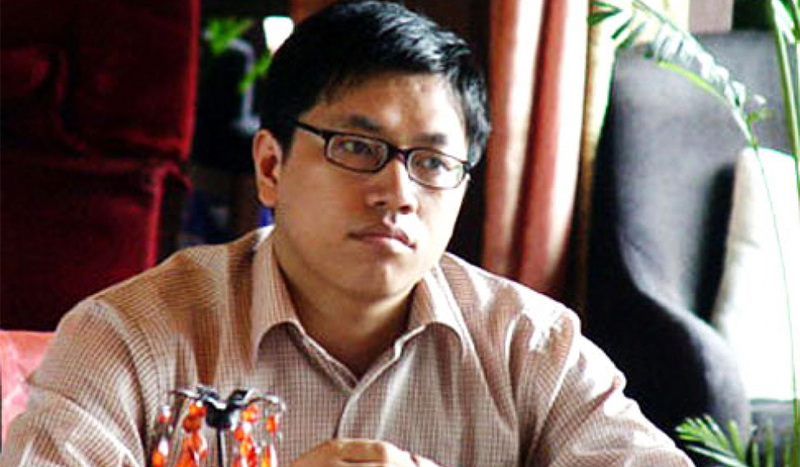 Yang Zili, Guo’s colleague, was imprisoned for ten years for “state subversion.” His crime? He, along with several others, formed a study group to read and discuss books that helped them understand which direction China should go. But it is not only China’s true patriots who should be afraid. We all have a stake in the treatment of China’s citizens. If the most open-minded individuals are treated with contempt, China’s future will be dominated by intolerant and narrow-minded nationalists. This is in no one’s interest. Just as people worldwide have rallied to express solidarity with France’s victims of Islamist terror, those who love liberty need to let it be known that we will not tolerate the injustice of silencing and imprisoning Guo Yushan and He Zhengjun. — Brad Lips is the CEO of Atlas Network. Pingback: 4. Prisoners’ Stories | #UntilAllAreFree!